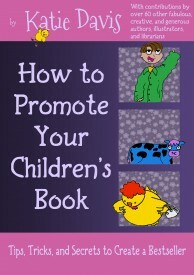 Last week, I posted about Katie Davis’ new book, HOW TO PROMOTE YOUR BOOK. You posted a link to your favorite book trailer to win a free copy of this book. And the winner is Caroline Starr Rose for this video about her book, May B. Thanks, Katie for your generosity! Congrats to Caroline. Loved May B. and her trailer.